In honor of the fact that my copy of Sayonara Umihara Kawase (3DS) should appear on my doorstep any day now, I decided to devote an installment of "Manual Stimulation" to the most recent iteration of this sadly short-lived (in terms of unique releases) series, Umihara Kawase Shun. 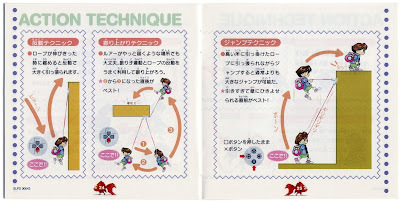 As you'll discover in just a second, this PlayStation platformer's instruction manual is a lengthy one. 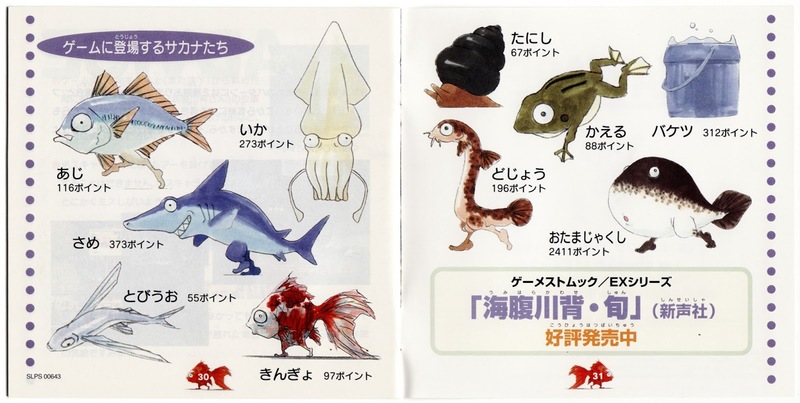 Given that, I'm going to keep the commentary to a minimum and instead let you savor its many adorable illustrations without interruption. 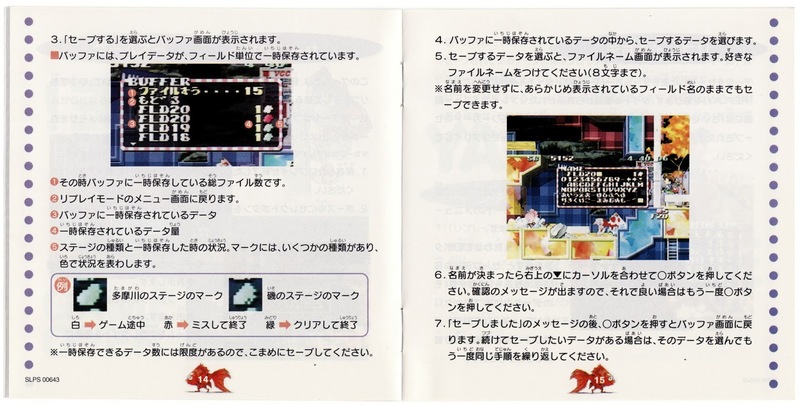 One thing I will point out: if you're in a hurry or if you're simply not up for examining 16 manual scans, you may want to skip ahead to pages 20 through 27 as well as 30 and 31. 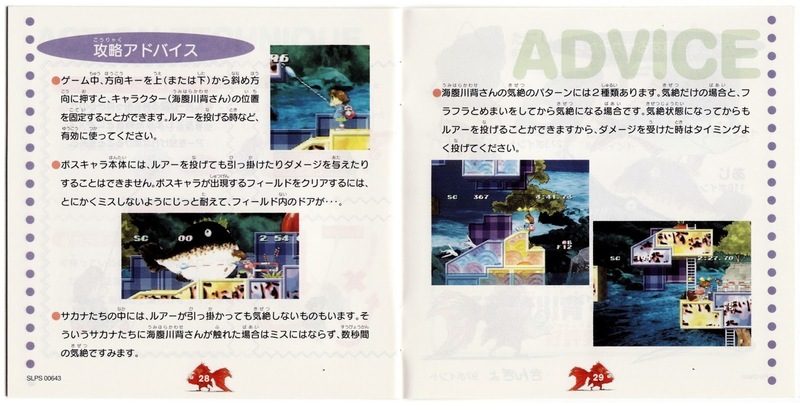 OK, I know I said I'd keep my mouth shut, but I can't help but chime in on the text that floats in the background of the right-hand page below. I mean, it isn't every day that you come across an invitation to "Let's Control." 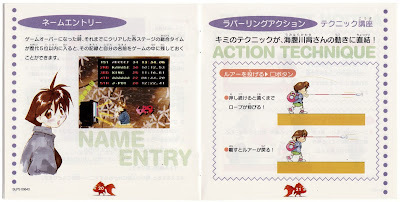 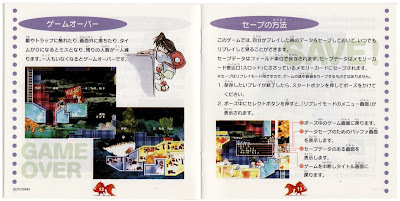 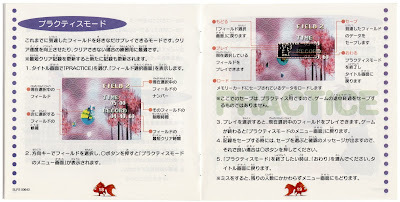 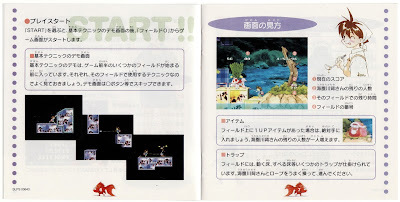 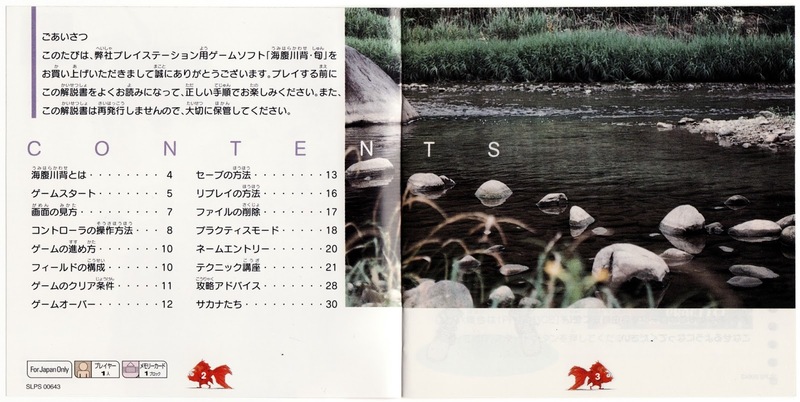 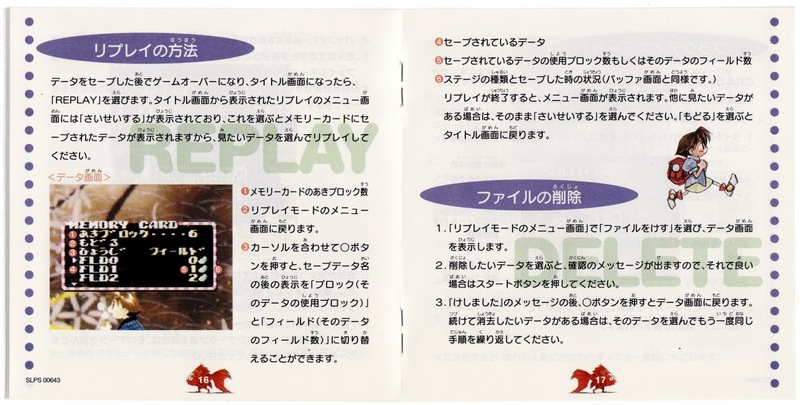 Another random bit of commentary: I've never encountered the scaly pink stage showcased on the pages below (hey, Umihara Kawase Shun's a tough game! 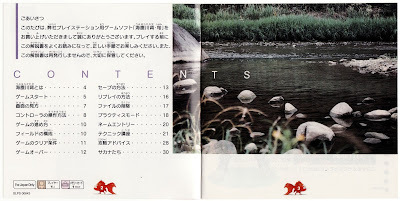 ), but now that I've seen them I want to do whatever I have to do to experience them. 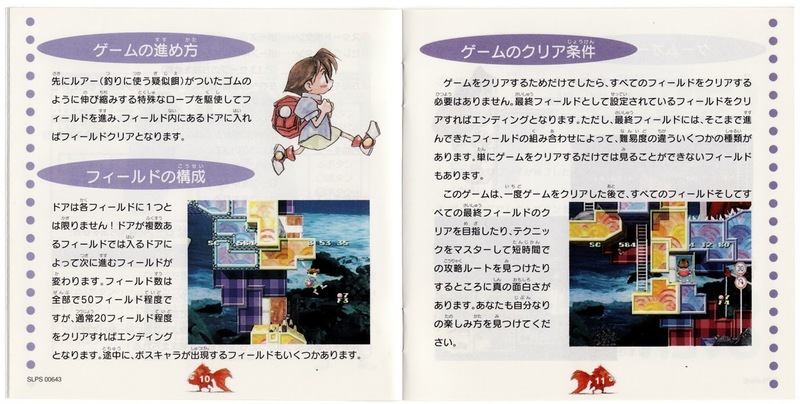 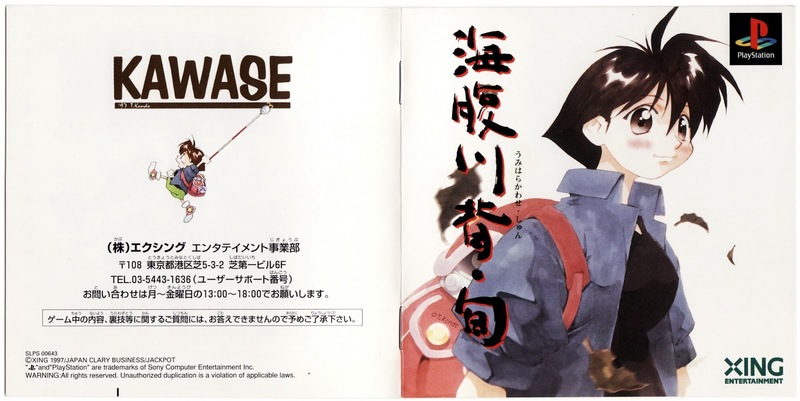 A note for the uninitiated: the illustrations above and below help show why the Umihara Kawase series has developed a cult following over the years. 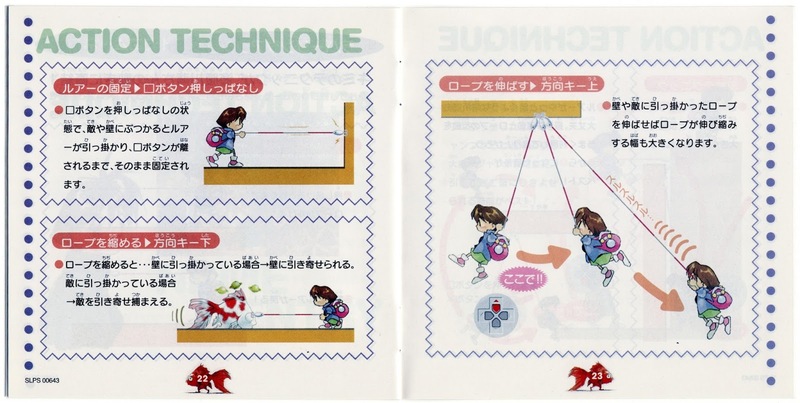 Basically, the game is like an adorable Bionic Commando. Well, if Bionic Commando were less straightforward and more screwed up (in a good way, of course). 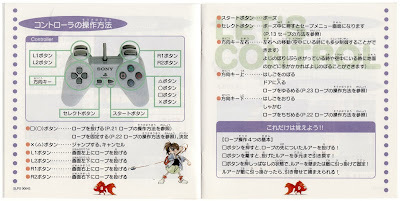 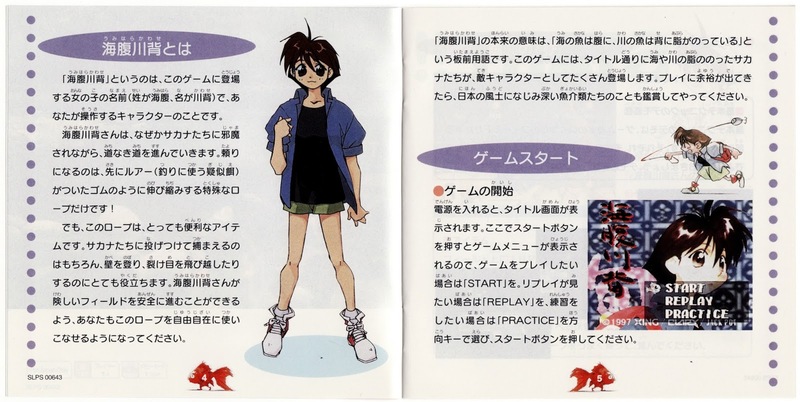 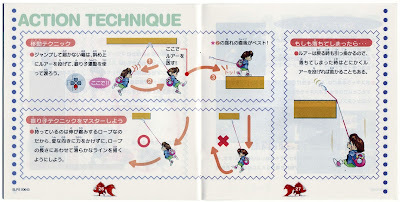 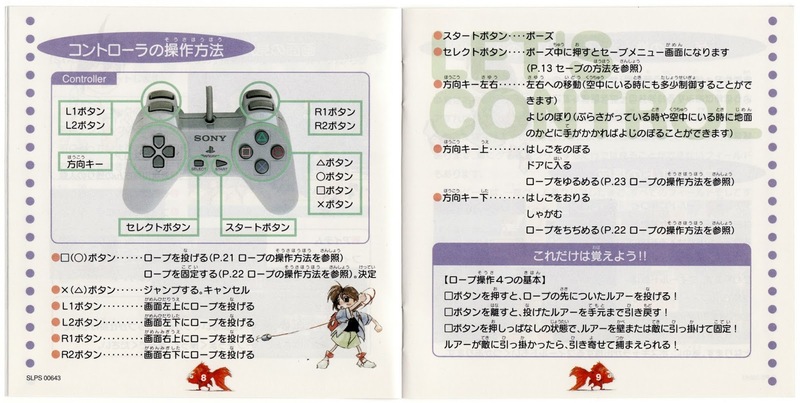 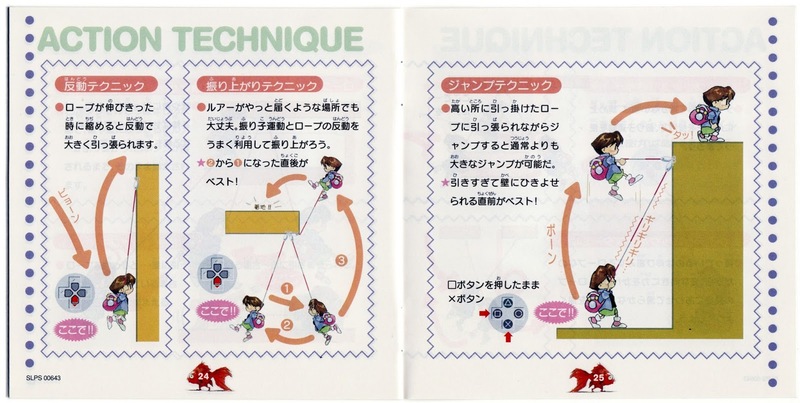 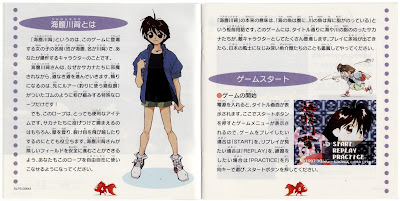 Without a doubt, the pages above are the best Umihara Kawase Shun's instruction manual has to offer. Of course, you really can't go wrong with illustrations of grinning, walking fish (and other sea creatures), can you?